Fluid distribution is managed by a computer GUI or via a terminal window. 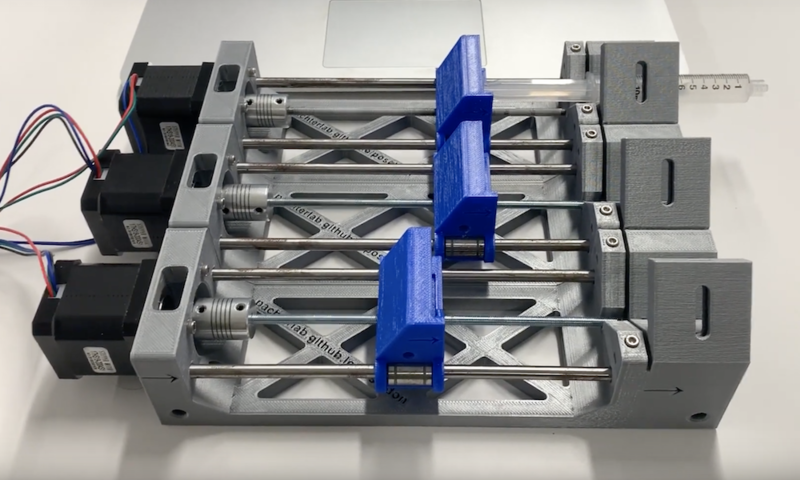 Steppers handle each of the system’s three “axes,” and push fluid out of syringes under control of an Arduino Uno and CNC shield. A microscope is also available for a full experimental setup. 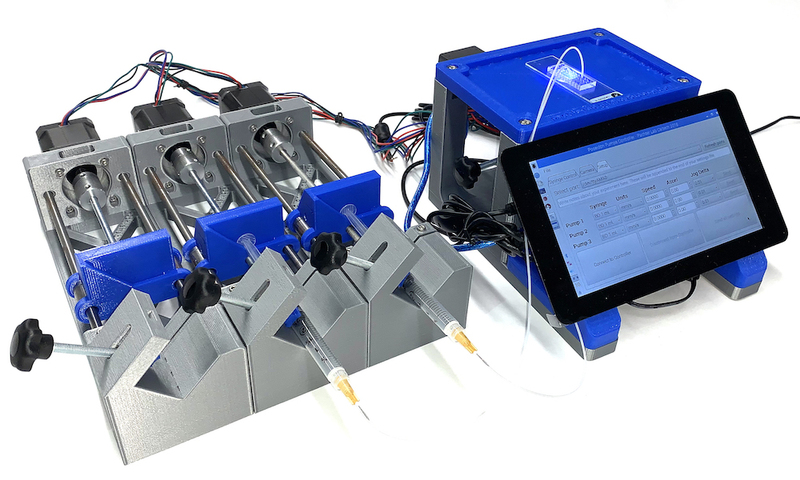 Open source microfluidics platform uses Arduino CNC contro is Aswan technology.